Get yourself the Ancestral Tombs Hunter Achievement, the Librarian Title and the Vvardenfell Scale Model for your Home! Hello everyone, here i have a Ancestral Tomb Video Guide for you. 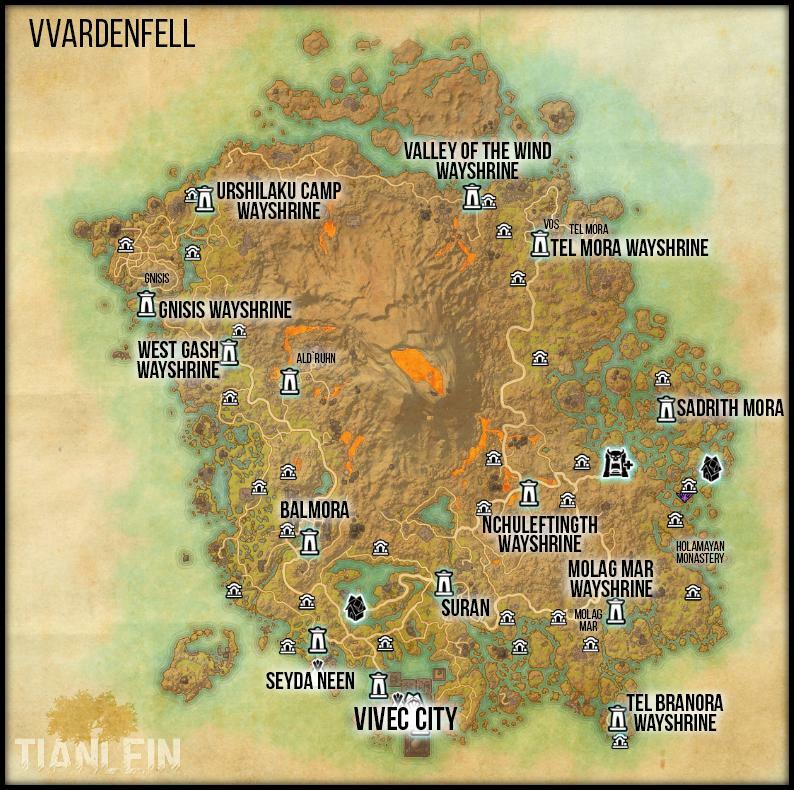 It is a complete Walkthrough of the Ancestral Tomb quests, the Lost Library quest and all Ancestral Tomb Locations in Vvardenfell. How Can You Get the Ancestral Tombs Hunter Achievement and the Librarian Title? For the Ancestral Tombs Hunter Achievement and the Librarian Title we have to collect all 30 Ancestral Tomb Rubbings in Vvardenfell. I would recommend you to get the great addon By the Ancestors-Tomb Hunter from Kyoma. This small great Addon will add small Tomb Icons on your map. If you dont want to use this Addon or you play on console you can watch my Video where i show every Ancenstral Tomb Location. After you collected all Ancelstral Tombs you have to talk again to the Librarian Bradyn in Vivec City. This will start the quest the Lost Library. 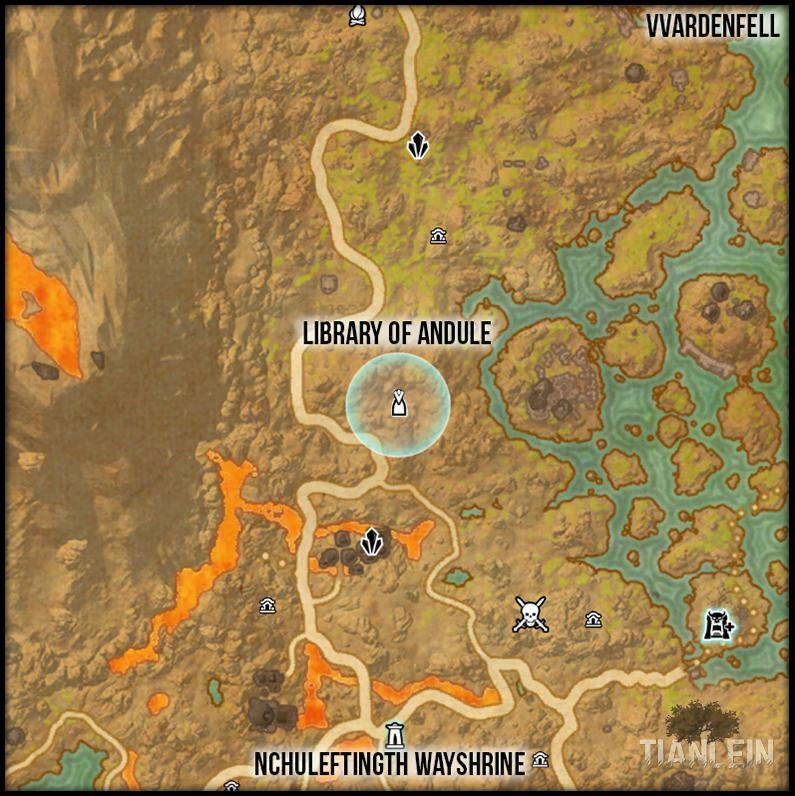 You can find the Library of Andule in the north of Vvardenfell. 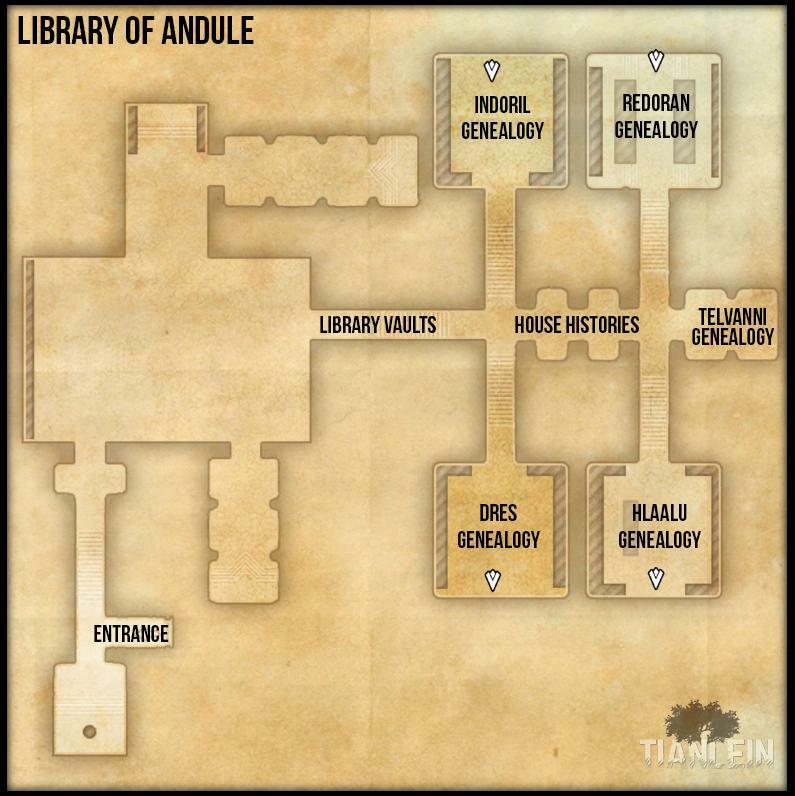 Inside of the library of Andule we have to solve some riddels. For the first one you have to light two braziers. 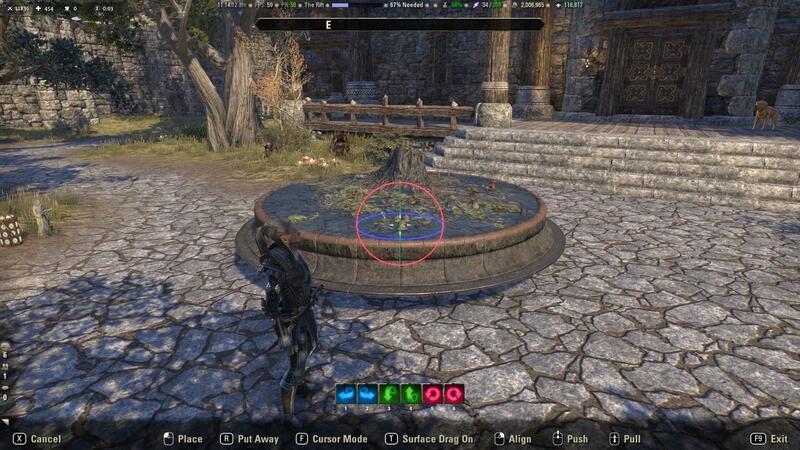 To reach the braziers step only on the daedric tiles shown at the entrance. After we lit succesfully the two braziers we can move forward to the Library Vaults. Here we have to get access to the 4 house vaults. To gain access you have to answer the questions correct of the Ancestral Spirits of each house. Collect the House Telvanni Genealogy and go back to the Library of Vivec. 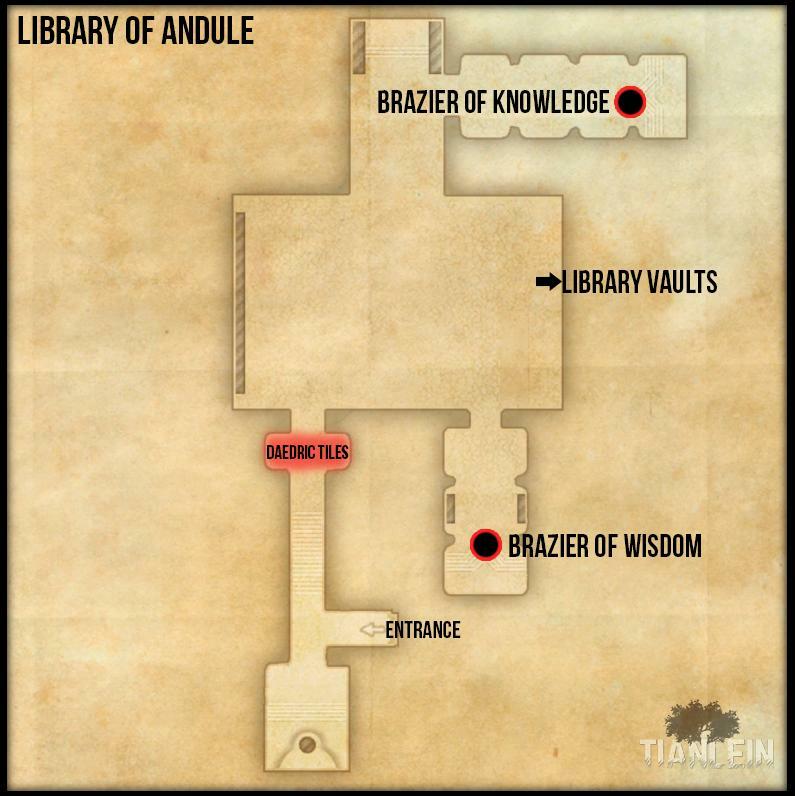 Speak to the Librarian Bradyn to finish the quest and you will get rewarded with Andule`s Curiass of the Defiler and the Vvardenfell Scale Model for your house.